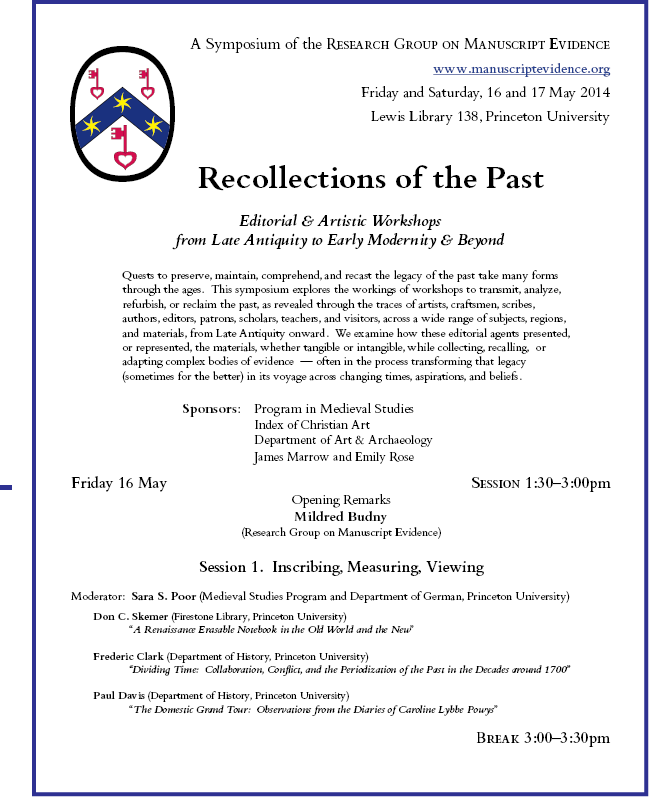 We announce the Program for the Colloquium to take place on Friday, 14 November 2014 at Princeton University. 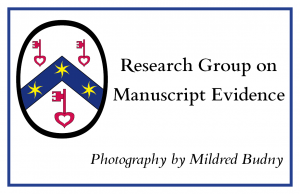 In 2009 and 2010 the Research Group celebrated the twentieth anniversary of its formation as an entity in England and the tenth anniversary of its formation as a nonprofit educational corporation based in Princeton, New Jersey. 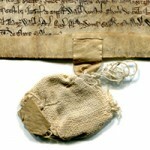 The stages of our history and the variety of our activities are reported in the pages of our Profile and History. The date of our “official birthday” as a New Jersey Nonprofit Corporation occurs in November. 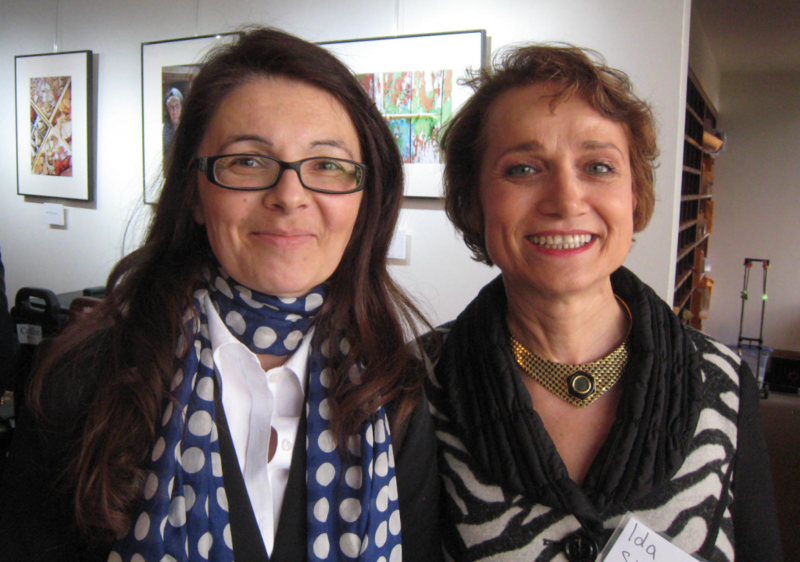 We celebrated our Tenth/Twentieth Anniversary of 2009 with a gathering of Trustees, Honorary Trustees, Honorary Associates, Volunteers, and newcomers. Raymond Cormier Speaks at our 2009 Symposium. Photography by James P. Heidere. 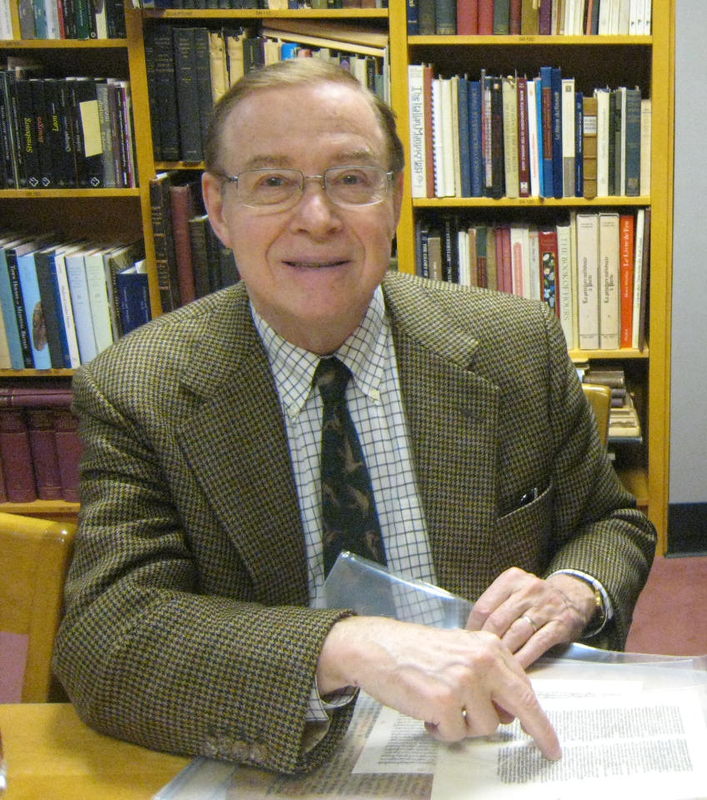 Beginning in 1995, the Research Group jointly sponsored a series of Annual Symposia on “The Transmission of the Bible,” organized by Mildred Budny and held at various centers in turn. 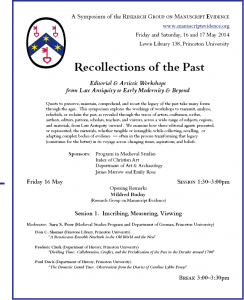 The series began with the invitation by our Associate Jane Rosenthal to hold a symposium soon after the Research Group moved its principal base to the United States in the autumn of 1994. 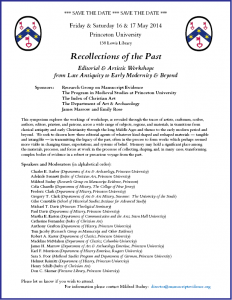 Both Princeton University and Douglass College of Rutgers University hosted two symposia in the rotation. 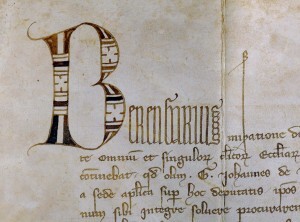 Since 1990, sometimes as part of its Seminars, Workshops, and Conference Sessions, the Research Group has held photographic exhibitions on Anglo-Saxon and related manuscripts at Corpus Christi College, Cambridge; the University of Oxford; and elsewhere. 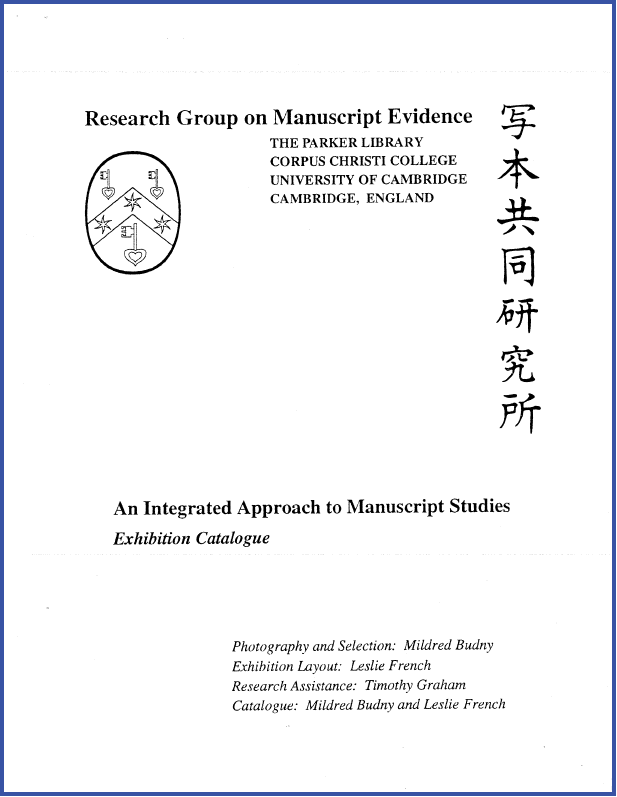 Exhibition held with variations at the University of Tokyo at Komaba, at Chuo University, Tokyo, and at Aoyama Gakuin University, Tokyo (November and December 1992). The Exhibition Booklet is now downloadable here (2016). 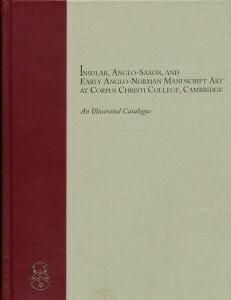 The previous exhibition held with further variations twice at Western Michigan University, Kalamazoo at the International Congress on Medieval Studies (May 1993 and May 1994). 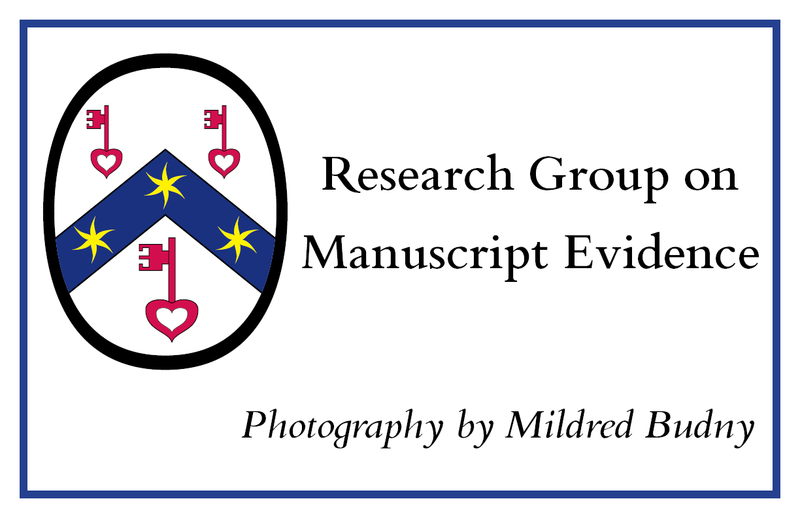 These exhibitions formed part of the contributions by the Research Group on Manuscript Evidence and its Director to the Congress, as reported for our Session at the 28th International Congress on Medieval Studies and Session at the 29th International Congress on Medieval Studies. 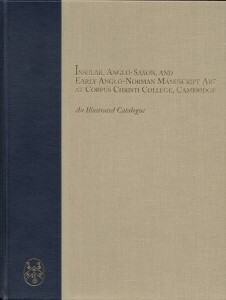 The 1994 exhibition was designed to accompany the Dedication ceremony for the new Richard Rawlinson Center for Anglo-Saxon Studies. The current activities of that Center are reported here: About Us at the Richard Rawlinson Center. Exhibition held at Wilson College, Princeton University (March 1995). 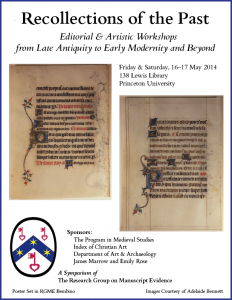 Since 2006, invited Master Classes taught by Mildred Budny, in Princeton and elsewhere, have provided instruction on aspects and techniques of responsibly photographing manuscripts, documents, and works of art for purposes of research, preservation, exhibition, and publication. 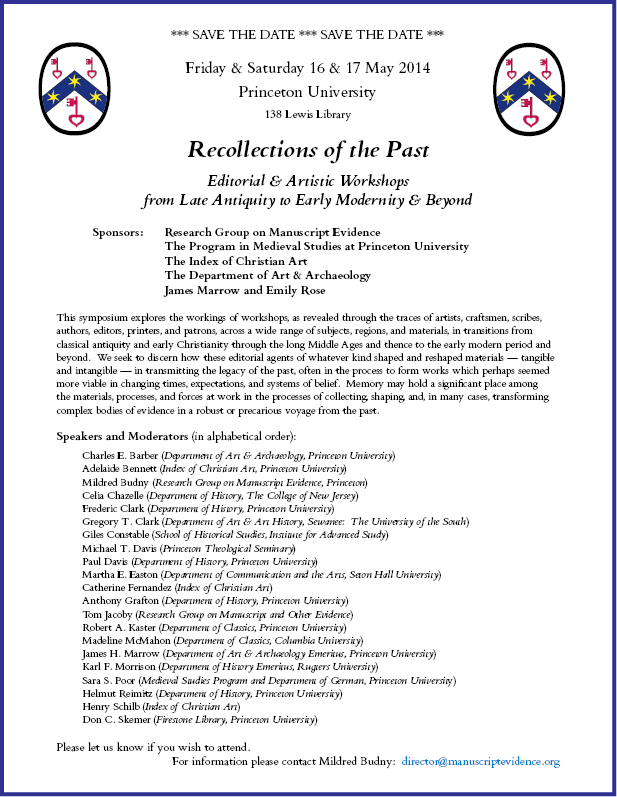 Some of these classes accompany, and augment, our continuing work on Genealogies & Archives. 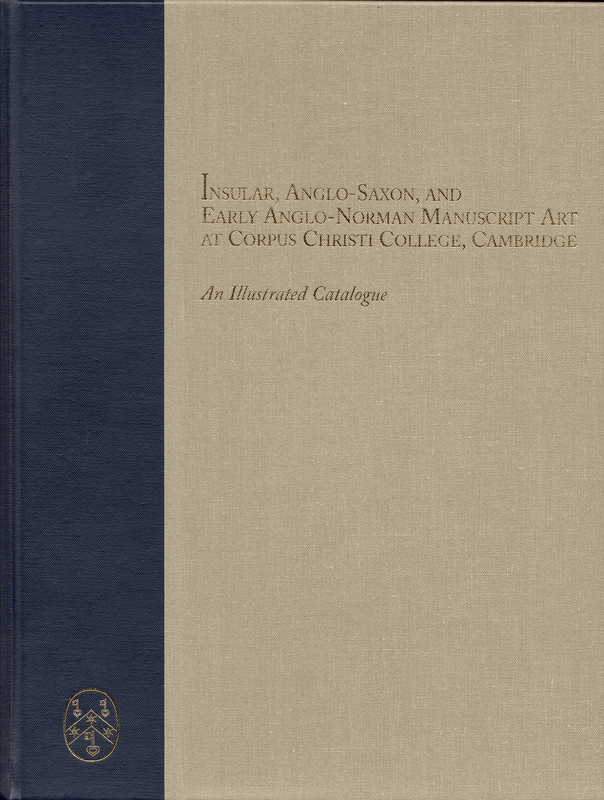 Our publications or co-publications include photographs of the manuscripts themselves and related materials (many or mostly by Mildred Budny). 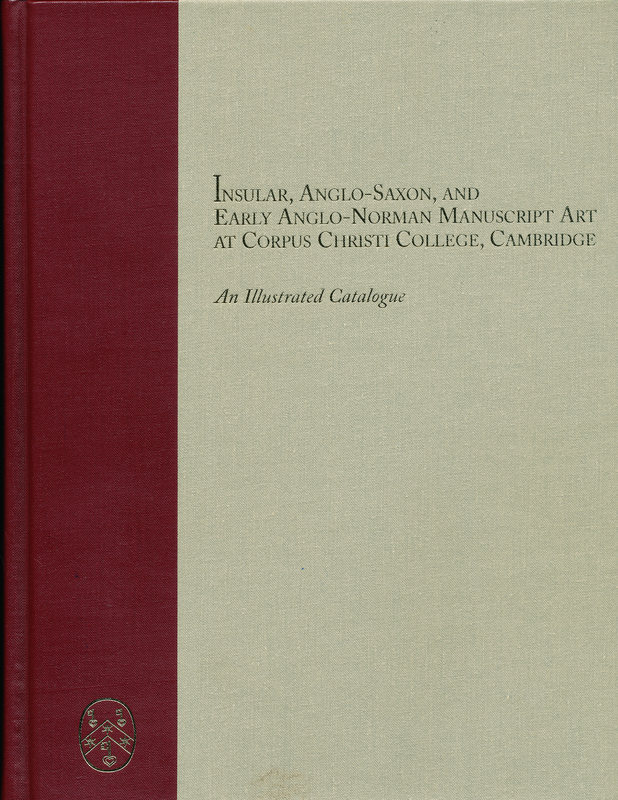 Some publications contain so generous a number of photographs as to constitute a form of exhibition, as with the two-volume illustrated catalogue of Insular, Anglo-Saxon, and Early Anglo-Norman Manuscript Art at Corpus Christi College, Cambridge. They are listed in our Publications. 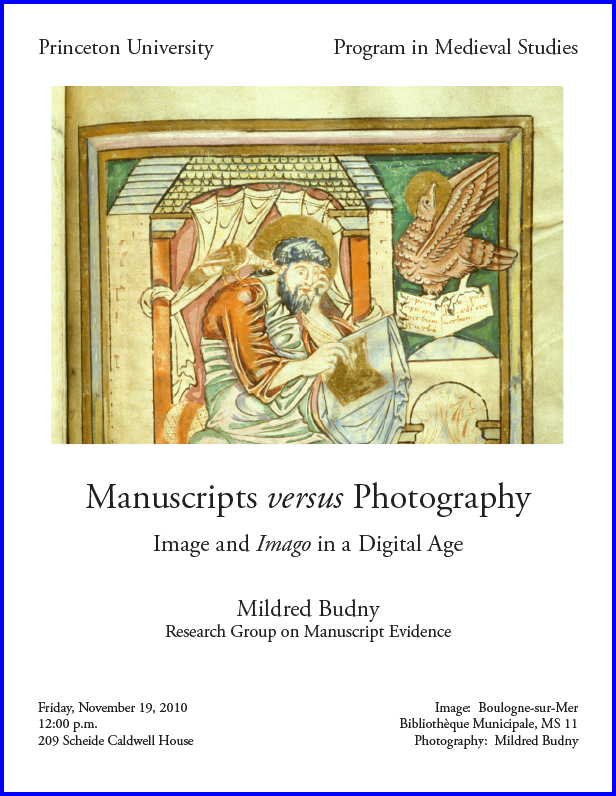 While the world in recent years has turned widespread and extensively funded attention to the production, proliferation, and presentation of digital images reproducing manuscripts for online exhibition, the photographic work of the Research Group on Manuscript Evidence in its foundational collaborative and integrated study of manuscripts, before the dawn of the Digital Age, represents an example of the collaborative efforts to produce and reproduce images as accurately as possible so as to demonstrate the evidence and to encourage responsible interpretations from a wide and integrated range of specialists, students, and interested “bystanders” alike. 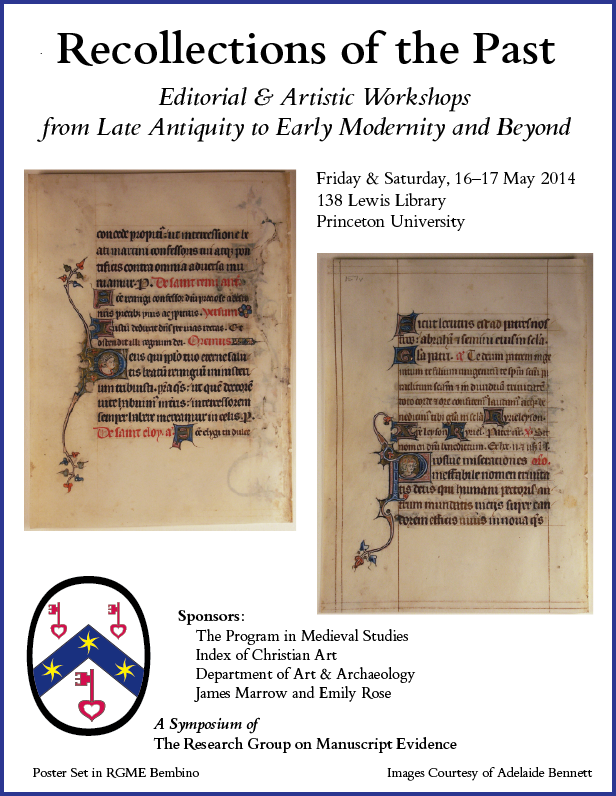 An example demonstrating these multiple approaches is our 2014 Seminar on “Manuscripts & Their Photographs”. 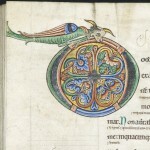 In August 2008, in exploring new developments and potential for our first website [launched in 2007 as www.manuscriptevidence.org, and then archived as http://www.manuscriptevidence.org/data/ during the transition to our second, updated website, launched in 2014 as manuscriptevidence.org/wpme/; You are Here], we were granted generous permission to photograph a group of medieval manuscript fragments and documents in a private collection, and to publish these images here, when the site allowed. 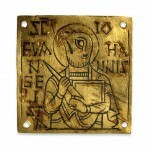 The photography is designed to show the whole objects, as well as details. We invite, conduct, and report research on these materials. 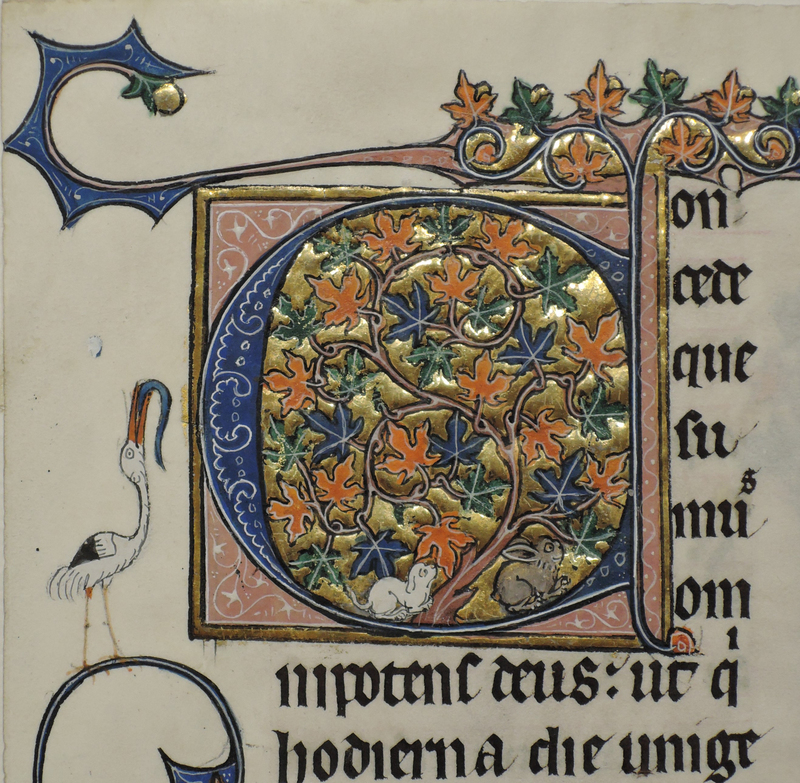 With their accompanying descriptions and assessments, the display may constitute a virtual exhibition. 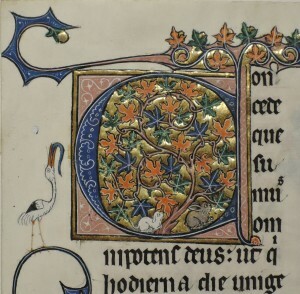 We welcome questions or comments about the images. We hope that exhibiting them in this way will promote fuller knowledge of their nature, context, significance, and relatives. 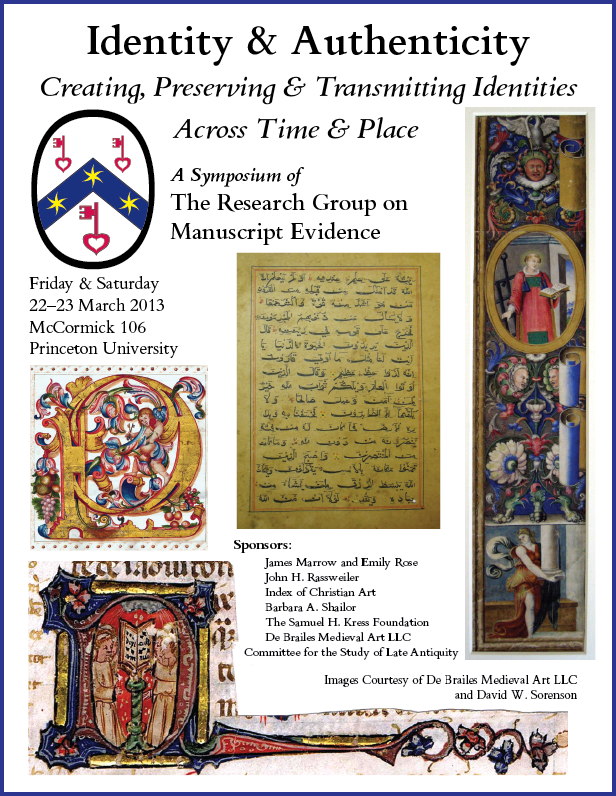 We may also use this opportunity to discuss suitable techniques of photographing manuscripts and other artifacts responsibly, with respect to the directions of scholarly interests as well as curatorial and conservational concerns. Not always do these interests and concerns need to stand at odds with or against each other, especially with communication and collaboration. Such discussion may function, for example, as form of a tipsheet or masterclass. 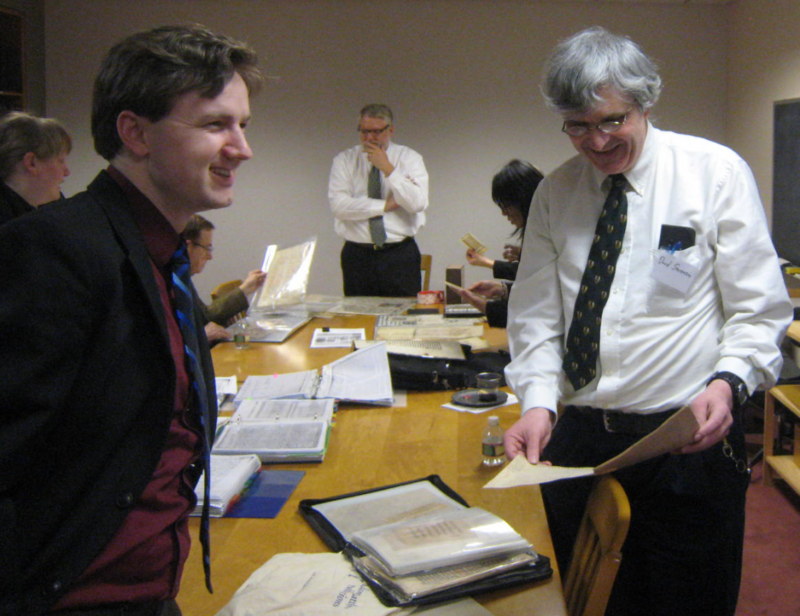 As part of this process, we continue to present results and to discuss the issues involved in photographic recording of manuscript and related materials. 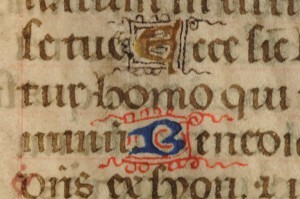 An example is recorded at web.princeton.edu/sites/medieval/calendar_f10.html, with its accompanying Poster. We thank the owners of the image and of the photograph for permission for reproduction on the poster. 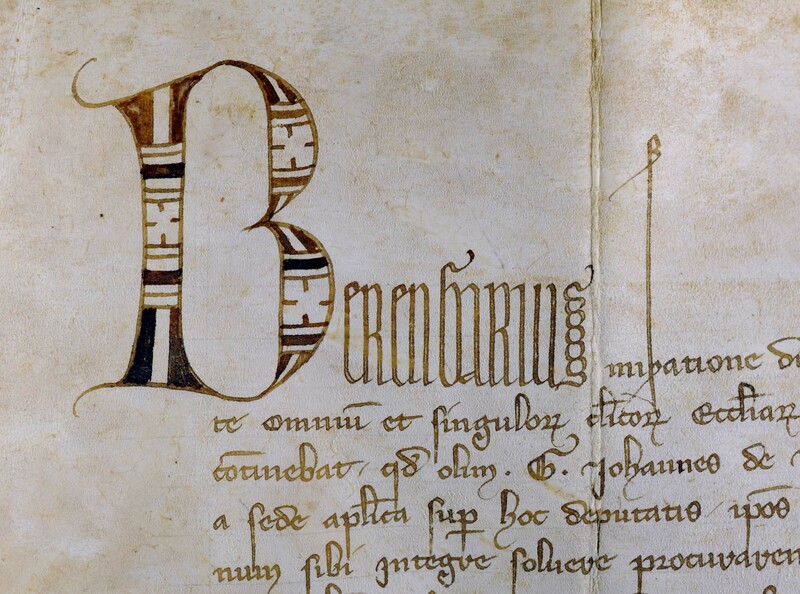 Please watch this space for further developments, as we unveil a new, illustrated page in our history. 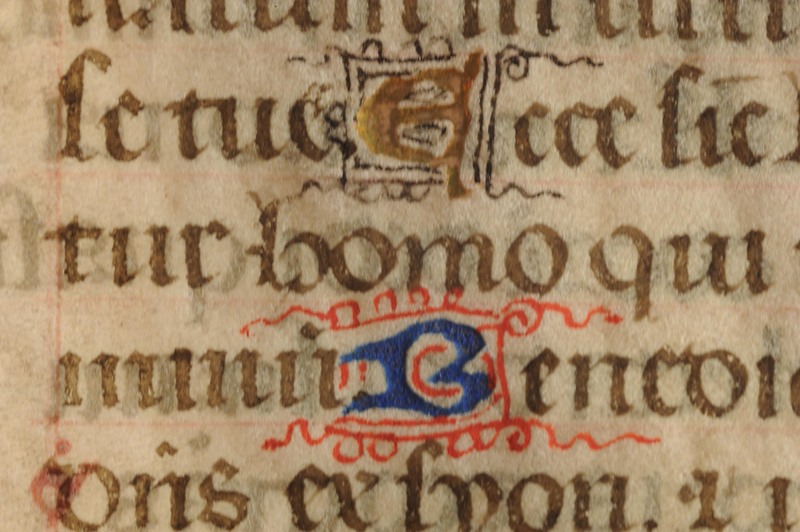 And now, we offer fruits, with illustrations, of these interlinked processes of photography, research, photography, research, reflection, revision, and reports, in our series of blogposts (since 2015) on Manuscript Studies. Its Contents List (shown there) is growing. Have a look! More to come . . . 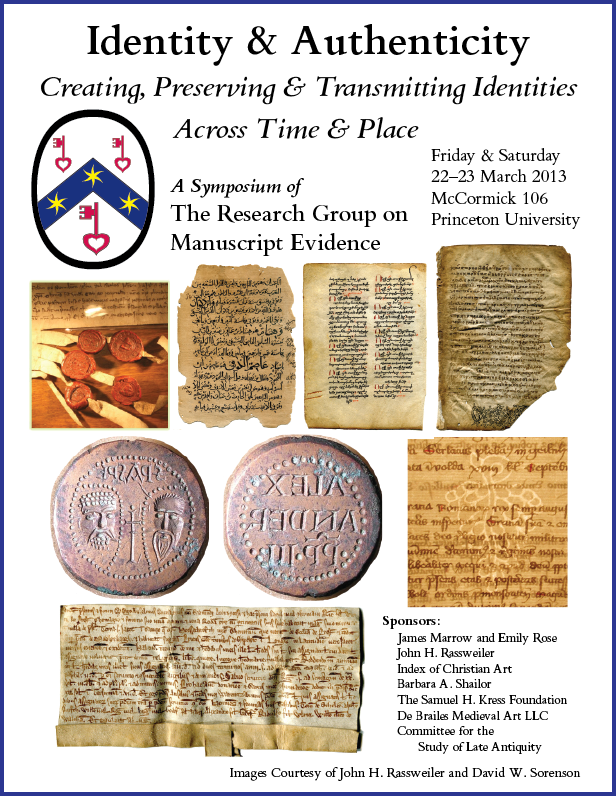 Please let us know if you recognize any of the manuscripts from which some of these fragments have come!